1）Needle free Y connector, Negative, fit OD4.1mm tubing. 2) PASSED ISO 13485 and CE certificates. 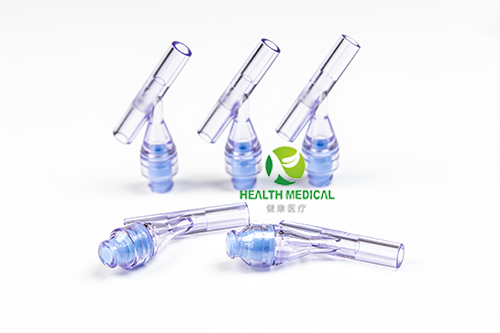 1) Type: Y shape, can joint IV infusion apparatus or plastic tube. 2) Positive Pressure prevent catheter block and aeroembolism. 3) Patent design of positive pressure avoids back flow of blood during removal of syringe This will help to prevent blood clot at the catheter tip inside the blood vessel. 4) The housing is impregnated with PC Ag+ which helps to lower infection rate. 5) Two sealing rings at the upper and lower end of the stalk keep the connector out of air, fluid and foreign Matter. 6) The straight flow of fluid path creates less turbulence and complies with proper transfusion protocol. 7) The holding capacity of remaining fluid is less than 0.06m..